WUXI, China (July 26, 2018) – The World Taekwondo World Cup Team Championships opened in spectacular fashion today with an Opening Ceremony which combined sport, music and local culture. 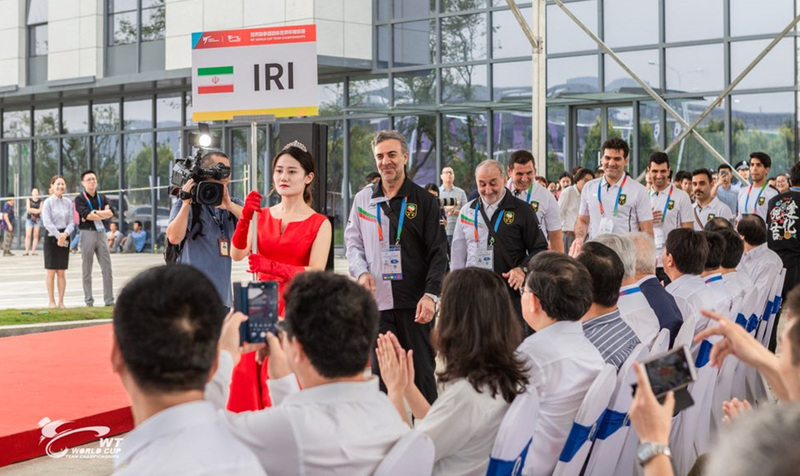 The Opening Ceremony took place in the new state-of-the-art World Taekwondo Wuxi Centre. 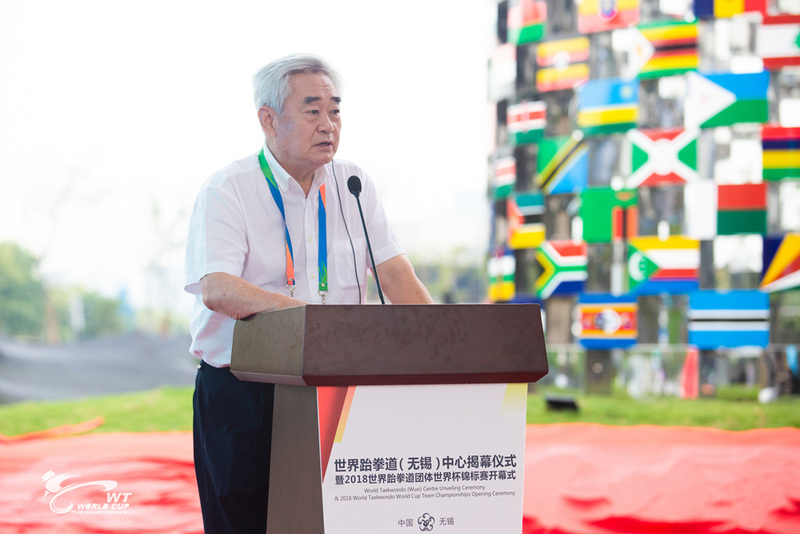 World Taekwondo President Chungwon Choue opened proceedings by expressing his gratitude for the warm welcome the taekwondo family had received in Wuxi and his certainty that the Championships would be a fantastic event. “We are very excited to bring the World Taekwondo World Cup Team Championships to the beautiful city of Wuxi. 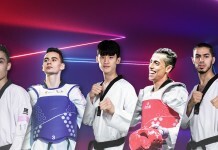 Wuxi did a fantastic job in organising the first ever World Taekwondo Grand Slam Champions Series last December and I have no doubt that the World Cup Team Championships will also be a huge success. Vice Mayor of Wuxi City Ms. Liu Xia and President of Chinese Taekwondo Association Mr. Guan Jianmin also addressed the thousands of spectators in the audience during the Ceremony. 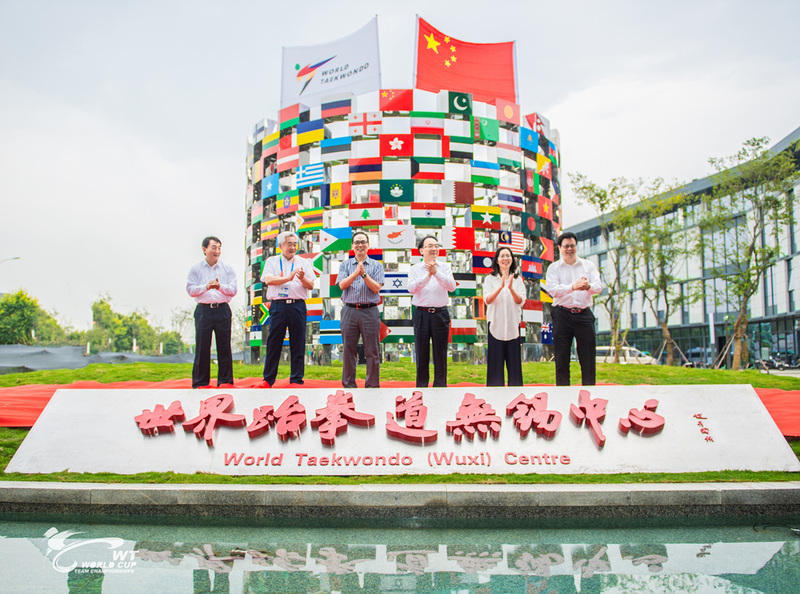 Following the speeches, a sculpture with 209 flags, to represent each of the World Taekwondo Member National Associations, was unveiled and the WT Wuxi Centre was officially opened. Also, all participating teams entered before an athlete representative and referee representative took the taekwondo oath. The competition will get underway tomorrow and feature the nine male teams, six female teams, and seven mixed gender teams. The Championships will conclude on 29 July.